This is Harry, an Australian Labradoodle puppy. He is a sweetheart! 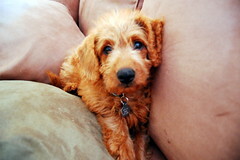 Vote for the Cutest Doodle at Cutest Doodle Contest.